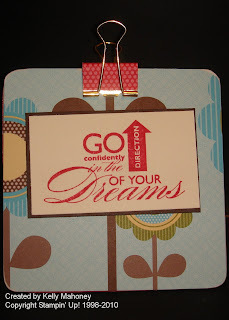 Play Date Post It Holder! One of my favorite things to do at the weekend events I go to is the shoebox swap. This is where all of the participants bring a project for the rest of us to complete. 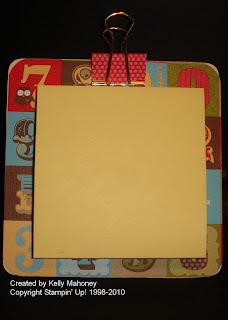 This time, I brought this cute little Play Date Post it note holder. 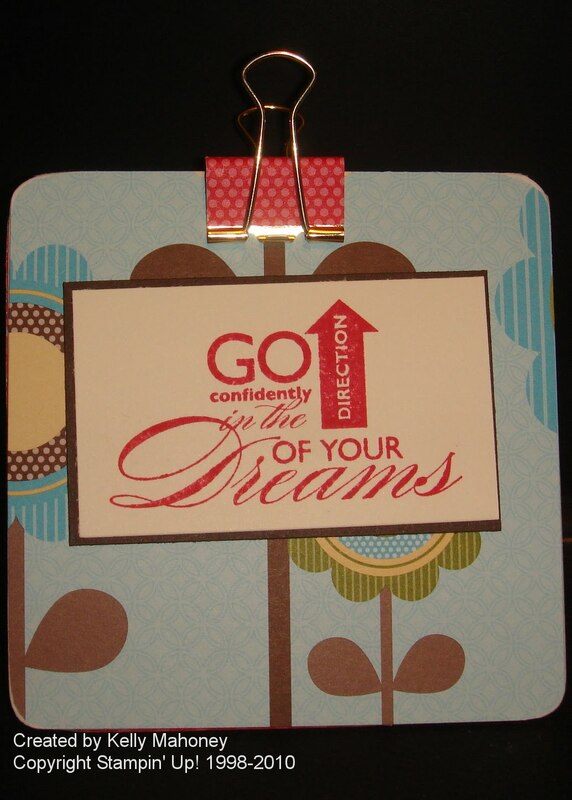 I hope all of the kids out there can "Go confidently in the direction of their dreams" this year! Have a great school year everyone! So here is a sample from the last event I went to. 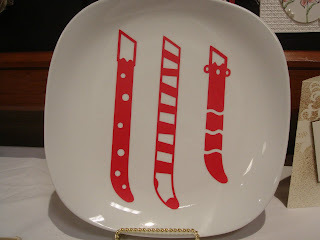 This plate was created with the new Decor Elements from the new mini catalog! It took just a few minutes to create! Wouldn't it make a great gift wiht some holiday cookies on it for a friend or neighbor? Well, I promise now that the kids are going back to school, that I will be updating a lot more often than every 7 months!!!!! In fact, look for new samples from this event in the next couple of days!